This Sasima Singsiri movie page contains 9 records. English title: Who holds the golden key? 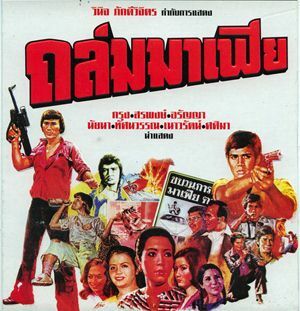 Thai movie 2 สิงห์เอเซีย was released in year 1978. It features Sombat Methanee / Alan Tang Kwong-Wing as main actors and Aranya Namwong as main actress. 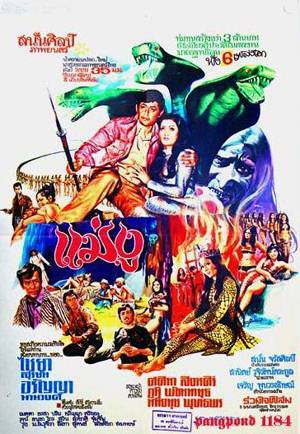 The movie is lost in Thailand but a sequence of 39mn remains to be seen. The movie was also released in Hong Kong under the name 金鎖匙 - "Who Holds The Golden Key?" 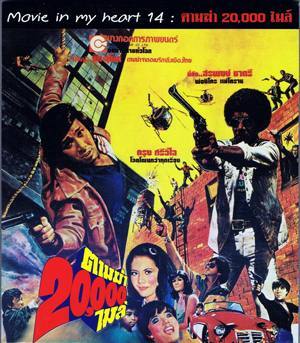 as it was a Thai HK co production. 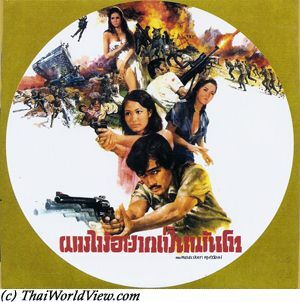 The original film released in Thailand lasted 2 hours. The HK version was cut to last only 1h34mn with scenes focusing on HK actor Alan Tang Kwong-Wing. The movie starts on various HK locations including the Peak where a lady gets envelopes full of money. She is blackmailing some mafia leaders. She is wearing a necklace with a white Buddha. She gets money from a man called Yong also. He sends his sbires to follow her. 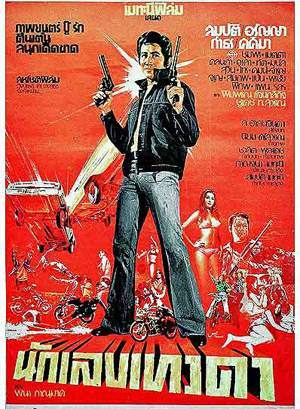 She asks help from a man called Peter (ตึ้งกวงหยง - Alan Tang Kwong-Wing), a detective, but she flees away with his car while he is fighting against four men. Wang, Peter's boss, has a plan to propose to him. It includes managing mysterious documents for a high fee. Wang has an appointment in Nathan hotel and brings Peter with him. Miss Jang is not there and through the phone, she tells them to go to another meeting place. Miss Jang is found dead there. Wang dies in her car’s explosion. Back to the hotel Nathan, Peter succeeds to enter in the room but gets attacked by ruffians that he defeats. Peter gets a phone number on a paper and a mysterious golden key. 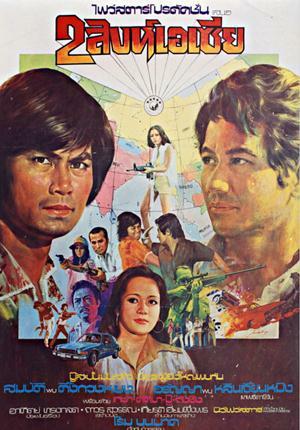 Peter flies to Thailand through Cathay Pacific and meets a beautiful lady called Meg (Meg Lam Kin-Ming) in the plane. Sombat Methanee enters in Peter's taxi at the Bangkok airport and proposes a 50% 50% partnership. Meg later meets Boo Wibunnan in Bangkok. She is recommended by Yong as a club singer. Laksamee (Sasima Singsiri) is Boo's wife. The mysterious phone number belongs to Aranya Namwong! Aranya knows Miss Jang as they were singers in the same nightclub. Kecha Plianvithee is the head of ruffians (เจ้านาย). He is looking for those important documents. Sombat Methanee is trying to get information from Aranya also. Peter meets Laksamee in the nightclub. Outside the nightclub, he gets attacked by four ruffians sent by Boo but Laksamee helps him to flee. 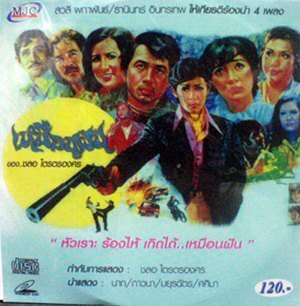 Some daring scenes with Laksamee were censored in Thai version. Boo's wife uses all ways to get information from Peter causing Boo's jealousy. As Peter meets Aranya in the nightclub, Laksamee and Boo spy them through a microphone. Outside Aranya's home, Peter gets attacked by Boo's ruffians again but succeeds to escape thanks to Sombat, who is in fact a Thai policeman. The remaining Thai sequence ends up here. The mafia knows that Peter has the key so they kidnap Aranya's family to force her to steal the key. She succeeds to get the golden key from Peter but she is shot by Boo once he gets the famous list from a bank safe that could be opened only with the golden key. Peter and Sombat follow the ruffians up to a remote island. Heavy shootings happen. Ruffians are captured thanks to Meg. Meg was in fact an undercover policeman.